We thank you as a loyal patient by offering a 20% price reduction on any additional complete pairs of eyewear you purchase within one year! 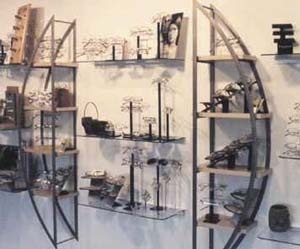 You may use this discount on additional styles of glasses (sunwear, computer pair, spare pair) or to replace lost eyewear. The most costly pair will be at regular price, with discounts taken off additional pairs. Patients who used an insurance with vision benefits for an initial pair of glasses are also invited to purchase additional pairs at 20% off. All of our normal grarantees apply to the discounted pairs.